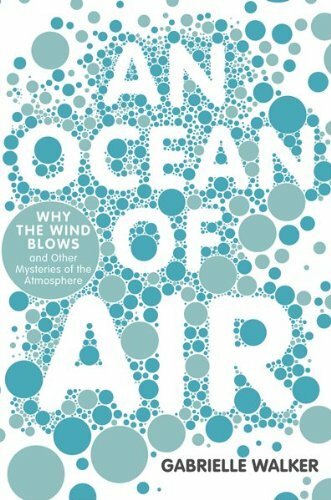 Gabrielle Walker, "An Ocean of Air: Why the Wind Blows and Other Mysteries of the Atmosphere"
We spend our lives surrounded by air, hardly even noticing it. It’s the most miraculous substance on earth, yet responsible for our food, our weather, our water, and our ability to hear. 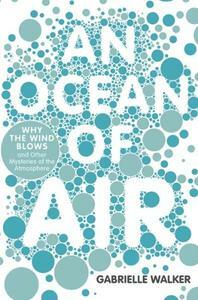 In fact, we live at the bottom of an ocean of air. In this exuberant book, gifted science writer Gabrielle Walker peels back the layers of our atmosphere with the stories of the people who uncovered its secrets:• A flamboyant Renaissance Italian discovers how heavy our air really is: The air filling Carnegie Hall, for example, weighs seventy thousand pounds. • A one-eyed barnstorming pilot finds a set of winds that constantly blow five miles above our heads.• An impoverished American farmer figures out why hurricanes move in a circle by carving equations with his pitchfork on a barn door. • A well-meaning inventor nearly destroys the ozone layer. • A reclusive mathematical genius predicts, thirty years before he’s proved right, that the sky contains a layer of floating metal fed by the glowing tails of shooting stars.